Receiving a college education can bring incredible rewards, both personally and financially. After graduation, many students hope to successfully compete in the job market, to secure high-paying jobs, and to improve their economic standard. While pursuing a college education can be expensive in the short-term (tuition costs, lack of employment while enrolled), the lifelong rewards are undeniable. 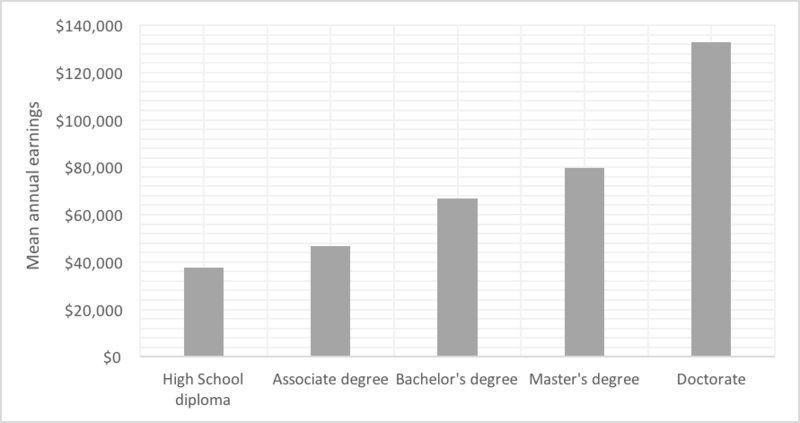 Individuals with Bachelor’s degrees, on average, earn a million dollars more in their lifetime than non-degree holders. In 2004, full-time workers with four-year college degrees earned approximately 62 percent more than full-time workers with only a high school diploma (The College Board, 2005). Now that’s an incredible return on your investment. The attainment of additional degrees, particularly professional degrees, can increase your economic opportunities even further (Cheeseman & Newburger, 2003). To see how college can literally pay off for you, examine the annual earnings by degree type in Figure 9-1. A 2004 study by The College Board indicated that individuals with college degrees not only earn more, on average, than non-degree holders but tend to be happier, healthier, and have greater job security. 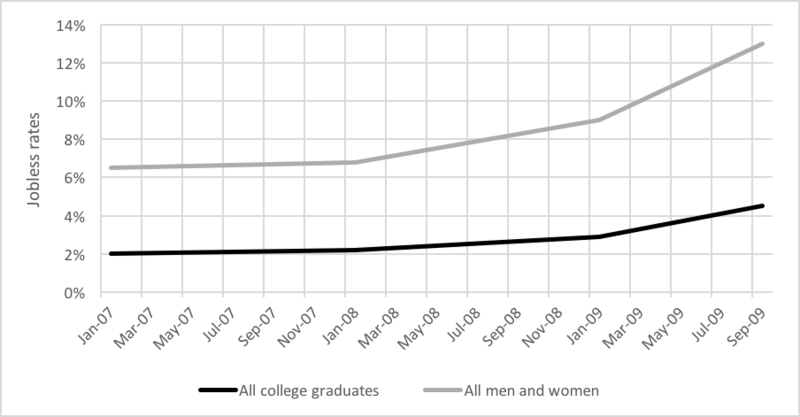 In 2009, the unemployment rate among college degree holders was 4.5% (see Figure 9-2), significantly lower than individuals with a high school education or less (U.S. Bureau of Labor Statistics, 2009). According to the U.S. Department of Education (2008), about 90% of the fastest growing jobs require some post-secondary education. Now that we have examined the benefits of a college degree, let’s review ways that you can pay for it.